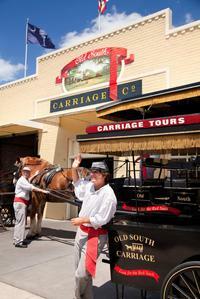 Take a horse and carriage of old Charleston, South Carolina, with a very knowledgeable guide. The guide takes you past many beautiful historic sites, and homes, and narrates historical information about them. This is a one hour tour, while you ride in beautiful old carts, pulled by huge Belgian and Percheron draft horses. It is an entertaining tour complete with history, local stories, and beautiful gardens. Don't worry about the horses. They get regular vacation weeks, as well as well as months to run free on a 65 acre plantation a few miles outside of Charleston. It is a 2.5 mile round trip that costs $16.00 for ages 4-11, and $26.00 for 12 and up. Kids under 4 must sit on an adults lap. Carriage trips are offered every half hour, starting from 9:00AM till the last trip at 5:00PM. Many people use these tours for history, nice afternoon rides, anniversary celebrations, birthdays, and even marriage proposals. It is a great way to see a very important historical city in American history, all the while riding, pretty much they way the residents did two hundred years ago. Book a trip for your loved ones to experience Charleston in a unique and memorable way. Call in advance for reservations, as tours fill up quickly during the tourist season. Arrive 15 minutes prior to the tour, and be ready for a wonderful tour of old historic Charleston, a real Southern experience. Meet your carriage on Anson Street near the City Market for your 1-hour tour with your knowledgeable guide. Listen to fascinating historical facts and entertaining local stories as your carriage glides through 300 years of history. Your journey takes you back to the colonial beginnings of Charleston as you pass old churches and antebellum mansions surrounded by lush gardens. 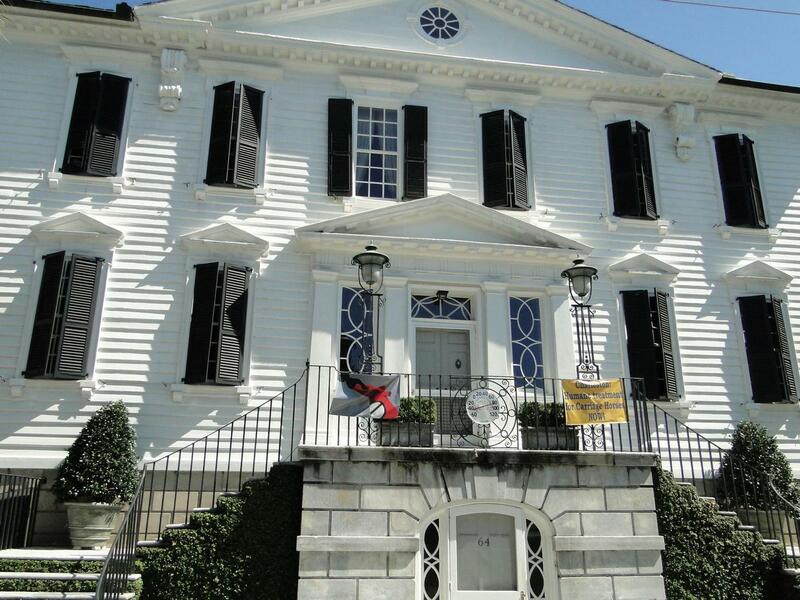 Stop outside historic homes such as the Aiken-Rhett House, which was built in 1818 and became the residence of the 61st governor of South Carolina. 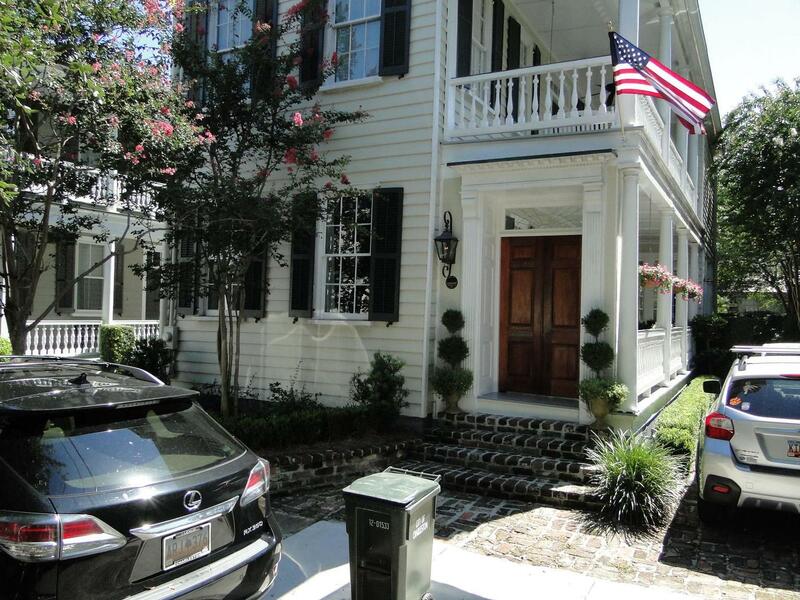 Be sure to have your camera ready for to snap photos of Charleston's many picturesque homes and gardens. 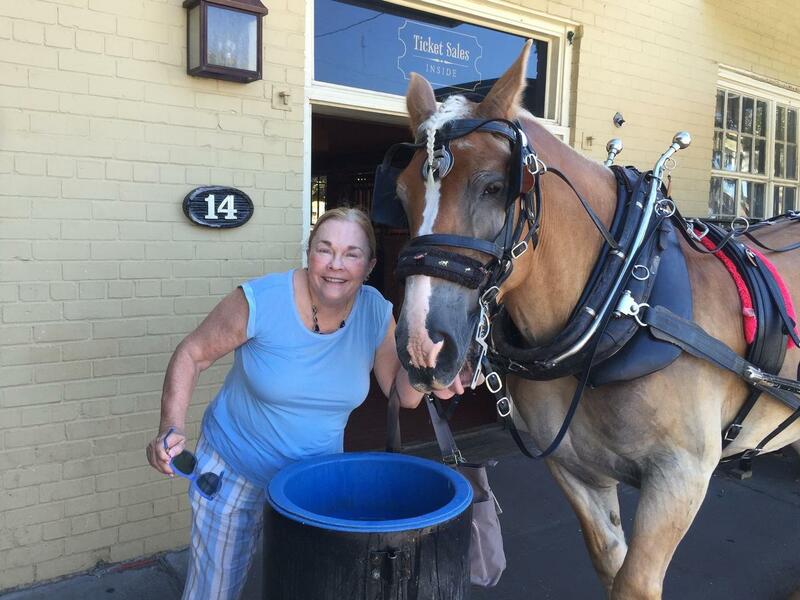 While the beautiful homes offer captivating stories, the horse that pulls your carriage provides another highlight of your tour. The horse is much like the draft horses that worked on American farms in the early 1800s. These handsome animals are carefully looked after by their handlers, have regular weeks off and get several months per year to run free on a 65-acre (26-hectare) plantation located just 8 miles (13 km) from their Charleston stables. Expect to cover more than 2.5 miles (4 km) and 30 blocks of historical homes. At the end of your 1-hour tour, your guide returns you to your starting point where you can make your way to your next destination. Departure Times: Please see Tour Options below for available tour times. Please note: you MUST check-in 15-minutes prior to your scheduled tour time. Failure to do so may result in your reservation being cancelled with out refund. Carriage can transport up to 16 passengers per departure. Children 3 years and under are free provided that they sit on the lap of a parent or guardian. If you want your child to have a seat, you must purchase a child seat. 9:00am departure; Charleston Carriage Ride - Guests must check in 15-minutes prior to start time as tours promptly leave at start time. 10am departure; Charleston Carriage Ride - Guests must check in 15-minutes prior to start time as tours promptly leave at start time. 11am departure; Charleston Carriage Ride - Guests must check in 15-minutes prior to start time as tours promptly leave at start time. 12pm departure; Charleston Carriage Ride - Guests must check in 15-minutes prior to start time as tours promptly leave at start time. 1pm departure; Charleston Carriage Ride - Guests must check in 15-minutes prior to start time as tours promptly leave at start time. 2pm departure; Charleston Carriage Ride - Guests must check in 15-minutes prior to start time as tours promptly leave at start time. 3pm departure; Charleston Carriage Ride - Guests must check in 15-minutes prior to start time as tours promptly leave at start time. 4pm departure; Charleston Carriage Ride - Guests must check in 15-minutes prior to start time as tours promptly leave at start time. Charleston Carriage Ride - Guests must check in 15-minutes prior to start time as tours promptly leave at start time.